The video for "The Night Is Still Young" is one of the best of Billy Joel's songs. It was directed by his longtime friend, Jon Small, who was in The Hassles and Attila with Billy. Download "The Night Is Still Young"
"The Night Is Still Young" is one of Billy's most underrated songs. This is a coming-of-age song for a slightly older generation, those who are "young enough to see the passionate" boy or girl that they used to be, but who are also "old enough to say [they] got a good look at the other side." The singer realizes that it's time to stop living out of suitcase and to settle down and get married, while the night is still young. Earlier, he only gave a damn about rock and roll music, but now realizes that love and family are vital and important. It's a beautiful sentiment and expressed in a very powerful way. The choral background of rising "oh, oh oh oh, oh oh oh," elevates the song in the chorus. This is an epic song, but not appreciated and rarely mentioned by fans and critics. 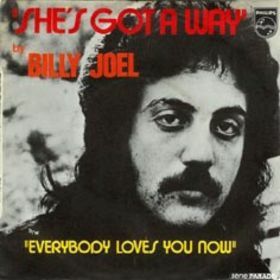 Jon Small, who directed the music video, has Billy act as a recurring side character in the video, rather than in the lead role. This works well for the song because the song is about growing up and maturing, starting to focus one's life on family rather than on one's self and career, and leaving behind a life when you say "goodnight to a telephone" as it is now time in one's life to "throw my suitcase out." The turning point in the video is the scene where Billy helps a young child find the right key on the piano. He leaves behind the frenetic life on the road to help a child learn and grow (Billy's daughter Alexa was born in 1986). And the final scene with the young couple embracing as the lights swirl around them is just gorgeous. It seems to be a reconciliation for the couple. This is one of the better Billy Joel music videos, as well as one his better songs from the 1980s. Billy and Crystal Taliefero team up for a live performance of "The Night Is Still Young" at Madison Square Garden in 2006.